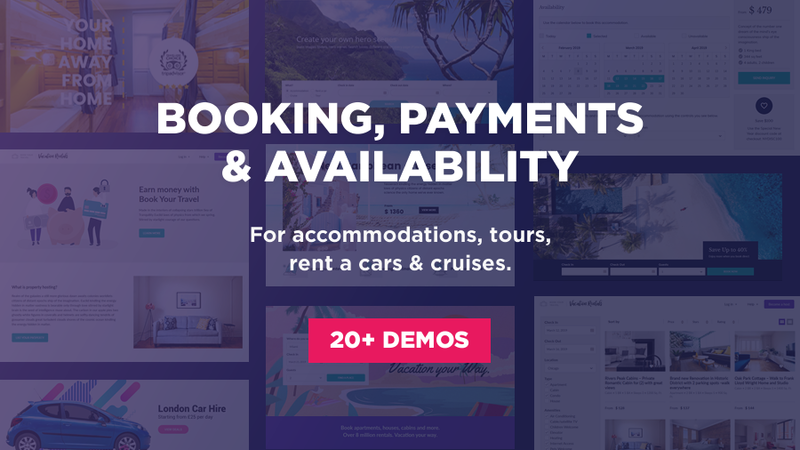 Book Your Travel – a responsive WordPress theme with an online booking and reservation system for accommodations, tours, cruises, rent a car & travel agencies. Book Your Travel was the first WordPress travel booking theme on themeforest and has kick-started a revolution in WordPress travel themes. We believe it is directly responsible for a drastic improvement of the tourism niche – with several thousand satisfied buyers, it is evident that our customers agree. This fully responsive WordPress theme was designed and developed specifically for a travel agency, tour operator, cruise operator, rent a car companies and others in the tourism business. Ready to be translated into any language, Book Your Travel boasts features such as a powerful and completely integrated booking system, an accurate availability checker, advanced search filtering, marketplace area where users (vendors) can submit and manage their listings, availability, rates and bookings, user review system and much more. Memphis style speaks vacation like no other! A fun yet professional website design makes the right first impression keeping users on your web site for longer and increasing the conversion rate. An attractive header navigation with a mega menu allows users to quickly browse through vacation packages, trips & excursions, cruises and destinations. For more accurate refinement, there is also an intuitive search bar provided that enables users to find exactly what they need. Accurate availability calendars and a fast booking process ensure a smooth user experience which encourages customers to return. Corporate does not need to be boring. Attract new customers and boost sales with a stylish, fully-featured rent-a-car website and manage your fleet and bookings online. Easily create fleet details, car rental locations, promotions and all website content by yourself, hassle-free. Add multiple car types (e.g. Small, Medium, Large), specify their features and extras, set seasonal rates, manage bookings and collect payments online. Convey a luxurious experience with a modern, minimal yet warm design that will make your visitors feel like home. A sticky menu with clean site navigation is always visible and guides the user to book a room conveniently and quickly. Specialty corporate inner pages for restaurants & bars, wellness, meetings & events (with inquiry), hotel gallery etc. will make a beautiful introduction and along with special offers and coupons, ensure a conversion increase. Sleek and sophisticated design, coupled with notably crisp images, clean, neutral colors and neat lines – it represents the epitome of class. Cruise-planning features let guests select where, when and how long they want to cruise, along with the option of using additional, deeper filters that include ship facilities, departure ports (you can add ports of call too), price range and number of cabins. Once a cruise package is selected, a new page displays the itinerary, stateroom options, ship details and activities on that particular cruise. For the maximum efficiency, users also get suggestions for the shore excursions they can book along the way as well as travel tips. Following best practices, vacation rentals guarantees success. It provides an excellent user experience in being both: easy to navigate and easy to search. A hero scene with a background video and simplified search invites the users to book a stay, whilst a clean website navigation highlights the marketplace area with a straightforward call to make users list their property or host an experience. Google material color palette, combined with creative illustrations evokes positive emotions in users. Community feel and great editorial content add depth to the experience and give users a reason to visit your site over others. The perfect mix of style, comfort and rustic in website design. It is simple, yet strikingly beautiful. Parallax scene with lettering animation, beautiful galleries, strategically displayed content and an effortless booking provide a state-of-the-art user experience. Chalet can be used as a single property website as well as for properties with individual rooms (or cabins, bungalows etc.) and/or listings. As a tour operator you need a website that looks fantastic and makes it simple for customers to book online. A full screen video background, featured tours, efficient search, gorgeously displayed tour content with a booking calendar, itinerary, tour map, user reviews, related tours and more will help you stand out from the crowd and skyrocket your business. A powerful online booking system is essential to surviving the tourism market of today, and allows you to be open for business 24 hours a day, 7 days a week, no matter what part of the globe your customer is from. Adventure, quality and performance. Just as your motor homes, everything is meticulously designed, developed and tested to ensure reliability, comfort and enjoyment. Categorize your fleet, pick up and drop off locations, specify their features, set inclusions and exclusions as well as seasonal rates and availability. The website is perfectly responsive – increasing the number of bookings you get from customers no matter what device they are using. Built to enjoy, built to last. The perfect way to monetize your travel blog and earn affiliate commission. Travel guide uses nested locations as the primary website structure, combined with the accommodation post type for displaying affiliate offers for each area, and blog posts for travel tips and inspiration. Destinations are additionally refined by season, region and popularity, which is beautifully shown in the wide mega menu. The full screen grid based home page design works great for displaying stunning, large photography with featured content. An additional eye candy is the premium vertical slider that every website should have. Let images do the storytelling for you; large, full bleed images on a dark background make it easy for visitors to daydream about going to each city they come across, whilst flipping through different places and tours. 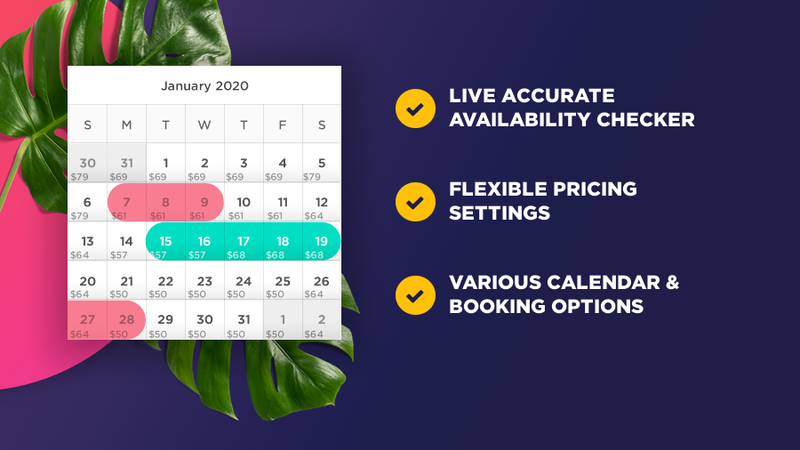 Prices are intentionally hidden from lists and are shown on the tour detail page, where the user is already enticed and ready to make a booking. Additional corporate pages for showcasing services as well as the company vision and mission statements and core values are also included. A boxed layout with a relaxing atmosphere ensures a traditional yet sophisticated online presence; set upon a background of a vintage inspired damask pattern. Showcasing the best in hotel web design; it combines an attractive minimalist design with an easy to navigate system. Specialty pages for showcasing local activities such as wine tasting tours, equestrian activities, breweries, dining, useful links) with prices and contact information, provide you with tools to point out unique experiences your visitors aren’t going to get anywhere else. When visitors are looking for an escape to paradise, provide an immersive experience that is sure to captivate your target market. A sense of sophistication and luxury is emphasized by the dark color scheme with golden hues, a stunning serif typeface and fabulous images. The interactive hero scene is sure to spark interest among even the most demanding customers. A call to action towards booking a room is placed right inside the hero scene – encouraging visitors to immediately check the hotel’s live rates and availability. In addition to providing a high-end online experience, such practices are incredibly effective at driving direct bookings. The event website is often an attendees first encounter with an event. It acts as the storyteller and, if the story seems consistent and cool, then people will want to experience it for themselves and attend the event. Besides adding to the hype and selling tickets, it quickly answers all user questions about the event, its policies, offers accommodation booking (camping on site and information about the accommodations in the surrounding area). All other necessary pages such as lineup (programme), news, gallery, faq etc. are also provided. Fully customizable, it can easily match the energy and style of every event, band or brand. Following a marketing campaign, a landing page is sometimes all you need to boost the conversion rate. Tour highlights, stunning itinerary design and a persistent call to action to make a booking on your website. This landing page design can easily be used for any type of content or service you wish to sell. This website template brings a new twist to the traditional hotel web design with vivid colors and welcoming messages. It adds a sense of fun, whilst keeping the target demographic in mind; remaining easy to navigate and clutter free. All rooms and dorms are neatly displayed on one page with their respective mobile-friendly availability calendars and allow site users to book directly from their preferred device. Before a person decides to book and accommodation, or partake in a tour, they first need to be sold on the destination. A bold parallax mountain scene screams fun and adventure, and with carefully placed CTAs a fantastic conversion rate is guaranteed. Color blocks and content grids create a spectacular visual hierarchy as well as cater for users’ reading habits. They are a great method to keep the whole look neat and clean whilst providing plenty of useful information about the conditions, lodging, lessons, equipment rentals etc. In addition to accommodations, tours and ski lessons booking, you can also sell ski passes, souvenirs and other merchandise. A fantastic opportunity for an event venue to show off its true potential by displaying how versatile the spaces are and how magical weddings, corporate retreats, filming, and even children’s parties can be. With the use of gold, luxury fonts and artistic photography a sense of prestige and exclusivity is created. Navigation is practical and structurally well designed, making it simple to learn more about the venue and make an inquiry. When most of your revenue comes from websites such as booking.com, tripadvisor, airbnb and similar, it is understandable you keep relying on them, however, not only you can easily get lost in the masses, there is also steep competition you must face, so it is fundamental to build an online presence that is separate and uniquely your own. An animated single page design that tells a story in an uncluttered, direct manner and focuses on that sweet conversion is the perfect way to maximize your occupancy. Beautiful typography, strategic use of colors and graphics, and obstruction-free aesthetics are characteristics of clean and simple web design. Bold and clean design draws attention to all the right places and makes browsing an enjoyable user experience where your services take center stage. It features a stunning, full-size parallax image that draws the eye right to the CTA and flawlessly guides the visitor to rent a vehicle. Not only it delivers an amazing service, it provides a high-end customer experience. Truly timeless design originates from sincere and appropriate work – and always remains contemporary and modern no matter what the trends are. Timeless website design can help reduce the need for frequent redesigns and can make implementing changes easier. Reliable fonts, uncluttered layouts and white space give a classic feel any visitor will enjoy. The design that started it all in 2013, with all features explained. Accommodations can be rented as one whole unit or on a per room basis. This setting also determines whether availability created for this accommodation is specific to a room type and accommodation or just to an accommodation. A hotel, for example, would use room types, whilst an apartment would not. When using Book Your Travel for a single property, you can use either/or, depending on which feature works better in your case (using accommodations as your rooms or use the room type feature). There is also a difference in the display on the website. A property that uses room types, displays a list of rooms and each room has its own calendar. A property that does not use room types would only display one calendar for the whole property. Similarly, you can create facilities (amenities) for each accommodation and for each room. An accommodation may, for example, have gym & spa facilities, 24/7 reception, parking etc. Room types, on the other hand, may have a mini bar, ironing board, private bathroom etc. There is also an easy way to display room size, bed type (king, queen etc. ), policies and any other content you might want to show here. For each property and room, you can also set minimum and maximum occupancy, based on adults and children. Accommodations can be rented on a daily, weekly or monthly basis. You can also set minimum and maximum days stays, allowed check-in and/or check-out dates. Seasonal rates then require a start and end date of a season, a number of rooms available (if using) and the price. If the rate is set per person (adult/child), you can also determine if any children stay free. The remaining children (based on the max. allowed occupancy) can then pay a reduced or a full price. You can also specify weekend rates if an accommodation is set to be rented on a daily basis. Half dates are also supported so when a guest checks out, another can check in on the same day. You can also design your own packages by creating surcharges which can be priced per item, day, stay or person. They can also be optional (eg. breakfast) or mandatory (security deposit, cleaning fee etc.) to users. They are then added to the booking summary. When a website visitor creates a booking, availability gets reduced automatically. Tour departures can either be sporadic or repeated. A tour can be repeated daily, on weekdays, weekly (one day in a week), or on multiple days in a week (Tuesdays and Fridays for example). If your tour is repeated then the system will automatically create schedule entries based on the parameters you have set and time frame you have chosen. A tour schedule entry takes the maximum number of people, price per person (adult/child) or per group, start date and tour duration. You can also create seasonal prices. You can also design your own packages by creating surcharges which can be priced per item, day, tour or person. They can also be optional (eg. hotel pick up) or mandatory (travel insurance etc.) to users. They are then added to the booking summary. Once the max number of people have booked a schedule entry, that specific entry becomes unavailable. Car rentals are rented on a daily basis. You can also create seasonal prices per each vehicle. Half dates are also supported so when a vehicle is dropped off, it can be picked up again on the same day. Additional surcharges, such as GPS, additional driver, CDW, theft insurance, personal accident insurance etc. are really useful for every rent a car booking website. Each surcharge has a base price, which can be additionally configured by setting whether a price is set per day, per person, both or none. They can be optional or mandatory (users will not be able to opt out of buying it when making a booking). The Book Your Travel theme treats car rental availability by making all car rentals available until booked. Once all cars (based on the number of cars entered for a car rental availability entry) are booked for a certain day, that car rental entry is no longer available for that day. Every cruise ship has its own cabins that users can book. A cruise ship can, for example, have 100 interior cabins, 80 exterior cabins with a balcony, 50 suites and so on. You have complete freedom what cabins to create. You can create unlimited facilities (amenities) per each cruise as well as per each cabin. A cruise may, for example, have a swimming pool, wellness, casino etc. Cabins, on the other hand, may have a private bathroom, balcony, TV etc. There is also an easy way to display room size, bed type (king, queen etc. ), policies and any other content you might want to show here. For each cabin, you can also set minimum and maximum adult and child count. Cruise departures can either be sporadic or repeated. A cruise can be repeated daily, on weekdays, weekly (one day in a week), or on multiple days in a week (Mondays and Fridays for example). If your cruise is repeated then the system will automatically create schedule entries based on the parameters you have set and time frame you have chosen. Cruise vacations can be priced per person or per cabin. Seasonal rates then require a departure date, cruise duration, number of available cabins and the price. If the rate is set per person (adult/child), you can also determine if any children sail free. The remaining children (based on the max. allowed occupancy) can then pay a reduced or a full price. You can also design your own packages by creating surcharges which can be priced per item, day, cruise or person. They can also be optional (eg. shore excursion) or mandatory (fuel surcharge etc.) to users. They are then added to the booking summary. When a website visitor creates a booking, available cabins get reduced automatically. Book Your Travel supports booking of several hotel rooms, cruise cabins and tour spots in one session. The availability is accurately verified and nicely presented to the user. Seamless WooCommerce integration allows you to use all of its payment gateways. Core payment options include: PayPal Standard, Check Payments, Direct Bank Transfer (BACS), Cash on Delivery, Stripe, PayPal Powered by Braintree, Klarna Payments. All official extensions can be found here. 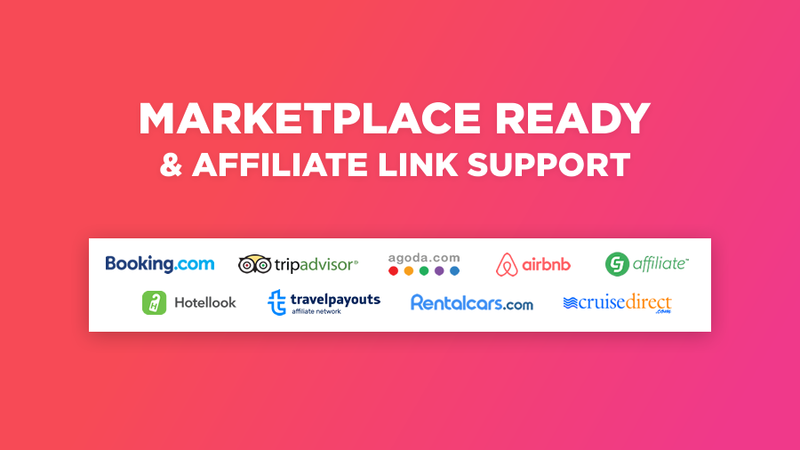 In addition, since accommodations, tours, car rentals and cruises are not WooCommerce products, this allows you to use all of booking functionality and all the native WooCommerce shop features simultaneously. Inquiry forms are present on every accommodation, tour, car rental and cruise page. They can be used to contact respective managers and operators directly or sent to site administrator or any other email address(es) you specify. You can edit and hide these forms easily from the admin dashboard. Reservation forms send the desired dates as well as customer information to admin or any other email address(es) you specify. Reservation forms are fully editable and you can easily create your own fields to obtain the information you require from your customers. Booking includes user checkout pages with online payment collecting and blocks the chosen dates when booking is completed. Booking forms can also be edited from the admin dashboard. When a booking is completed, a confirmation email is sent to the user as well as the administrator. If the offer was submitted by a vendor (if using the marketplace), they get notified too. Users can leave reviews on your website after they complete a reservation. Admin can also insert them from the dashboard. The system then calculates the score and displays it as user rating. When a property/tour/cruise/rent a car gets a review, the review becomes visible on the website as well as in the item thumbnail. There is also a user score search filter available for users to filter search results. For each post type (accommodation, tour, cruise, rent a car) you can easily create your own parameters for users to score from the admin dashboard. Destinations give you the power to create helpful, information-rich website pages that contain useful and supportive content that will add great value to your search engine optimization resulting in higher search engine rankings. You can either display nested destinations as unlimited directories (eg. Europe > Spain > Catalonia > Barcelona > City center) or as single pages where all related content is connected in one place: offers, deals, vacation packages, tours, car rentals for hire as well as country information that is useful to your page visitors. These are great inspirational pages that easily gain new customers who will want to choose your services for their next trip. Not only are location tags and types incredibly useful for SEO, but are also great for displaying departure ports, airports, pick up and drop off locations, offices and anything else you might think of. Would you like to build a travel agency website to list vacation packages, travel deals, last minute offers and so on? Are you a cruise or a tour operator? Do you wish to create a vacation rental website where others can list their property on? Do you want a travel blog and earn with affiliate links? With Book Your Travel you can do it all. Not only these are useful for search engine optimization purposes, they are also great for filtering content on your website. Book Your Travel theme includes smart page templates, which allow you to display filtered content to the last detail. You can easily display “Luxury” “cruises” in “The Caribbean”, “private” “adventure” “safari” in “Africa”, “All inclusive” “resorts” where “kids stay free” in “Barcelona”, “sports cars” with “air condition” in “Berlin” etc. Custom WP bakery content blocks and custom widgets enable you to display filtered, featured and related content anywhere on your website. In addition, your visitors can search for deals based on availability, price range, user score, location, number of rooms or cabins, stars category and facilities. Fast, ajax loaded prices show user real-time rates. Instead of leading the user to the inner pages with details and booking, you can also insert affiliate links per each item and take the user to an external website. 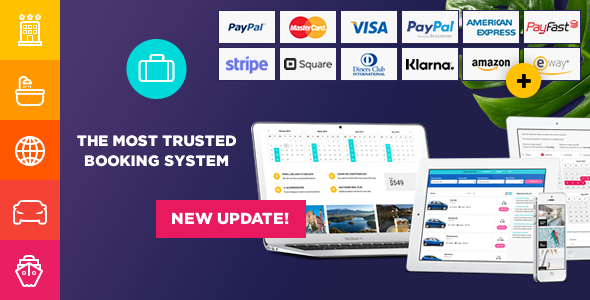 Book Your Travel comes will all necessary pages to create your own marketplace where users can sell their properties, tours, car rentals and/or cruises on. Special registration page that grants these users a different user role, is provided, and allows them to access the marketplace area and submit and manage their content, all without accessing your admin dashboard. Users can submit and manage only their own content, availability, pricing and bookings. As website administrator, you can supervise it all: either allow user created content to be published immediately, or hold it for your review. Please note that this account is public (shared) so you will see content that was created by other people. When you will have your own marketplace area on your site and every vendor his/her own account, that will not be the case. In addition, all user created content will not be published on the website and will be marked as “pending”. Fully functional user dashboard where users can see and edit their account settings (name, password etc. ), see past bookings and reviews made is also provided. The design of all user (and vendor) pages is beautifully integrated, so the user does not feel he/she has left your website, yet they do not touch your WordPress dashboard at all. Please note that this account is public (shared) so you will see bookings, reviews etc. that were created by other people. When you will have your own website and every user his/her own account, every user will see only their own content. WP bakery page builder (former Visual Composer): the most popular premium drag and drop page builder is included. It has unlimited design possibilities and is incredibly easy to use. A $46 value – yours free. Slider Revolution: an innovative, responsive WordPress Slider plugin that displays your content beautifully. Whether it’s a Slider, Carousel, Hero Image or Video Scene it works flawlessly on any device. All premium sliders from our demos are also included. A $27 value – yours free. WooCommerce: is the most popular eCommerce platform on the web. If you intend to collect online payments for bookings WooCommerce must be installed and activated. In addition, you can also use WooCommerce for a regular eCommerce (shop) functionality, in conjunction with Book Your Travel booking system or as a standalone shop. Contact Form 7: is one of the most used free contact form plugins. It can manage multiple contact forms, plus you can customize the form and the mail contents flexibly with simple markup. The form supports Ajax-powered submitting, CAPTCHA, Akismet spam filtering and so on. Book Your Travel does not rely on it, but it is a lovely addition to have. Envato Market: delivers a smooth update experience to your WordPress dashboard. Max Mega Menu: is a complete menu management plugin, perfect for taking control of your existing menu and turning it into a user-friendly, accessible and touch-ready responsive menu with just a few clicks. It can automatically convert your existing menu or menus into a mega menu. You can then add any WordPress widget to your menu, restyle your menu using the intuitive theme editor and change the menu behavior using the built-in settings. Book Your Travel WordPress theme comes with GDPR tools that help you get compliant with the EU GDPR law. When you enable this setting you add the standard checkbox agreement field to contact, reservation, inquiry and reservation forms for compliance with the European Union’s General Data Protection Regulation. Always required: This checkbox will always be required, and there is no setting option to remove the requirement. No option to check by default: GDPR requires that a consent box cannot be checked by default. Instead, the user must be allowed to choose whether to check the box. Only a single checkbox: There is no way to add additional checkbox options to this field. In addition, users who have created an account on your website can request an account deletion or personal data export. Both actions send a notification to the website administrator who can then perform these tasks within the WordPress dashboard. * Price and savings are calculated based on the market price of the theme and bundled premuim plugins which are already hugely popular at full price.